A recent market research report from Global Market Insights, Inc. pegged the global automotive aftermarket market at around 1 trillion USD in 2018. With an expected compound annual growth rate (CAGR) of more than 5% from 2018 to 2024, the market is expected to grow to over 1.42 trillion USD by 2024. According to the report, North America has the largest market share, accounting for over 30% automotive aftermarket revenues in 2017, but with the rest of the world accounting for 70%, this is indeed a global market. So you already realize that the market is huge. But are people really buying automotive parts online? The trend has certainly started. In 2017 alone, Amazon’s automotive sales from its aftermarket division generated revenues of over 1.4 billion USD. In 2018, Amazon’s revenues from automotive aftermarket parts and accessories skyrocketed to an estimated $5.5 billion, plus another $1.9 billion worth of OEM replacement parts, according to Hedges & Co., a research firm that focuses on the digital transformation of the automotive aftermarket. But Amazon isn’t the only marketplace where auto parts are flying. eBay claims a catalog of over 80 million parts and accessories – one of the largest auto parts inventory in the world. With more cars on the road worldwide and the aging of cars in the large US market – the average age of a vehicle driven in the US. stands at a record-high 11.5 years – consumers are increasingly turning to the lower prices and convenience of online shopping for auto parts and accessories needs. 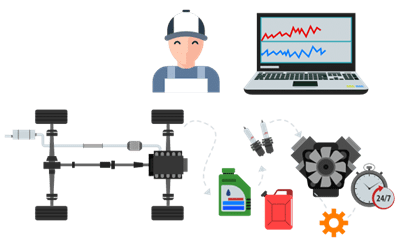 Online shopping for auto parts has also been made easier and more accessible to do-it-yourself consumers by video installation instructions and friendlier fitment matching matrixes. A greater awareness of the importance of preventive maintenance and the ability to update and customize existing models with improved parts, advanced technologies and personalized choices is adding to the growing trend. Products whose quality could effect or damage critical parts exposing you to potential liability issues. With the large number of different products available to sell and the move to online selling of auto parts well underway; it’s a great time for online sellers to get into the game. But, like in every business, you should not go in blind from the risks. Sure there will be plenty of challenges. The best way to set yourself up for success is by being aware of the risks and having strategies to counter them. It’s also important to keep in mind that all marketplaces are different. So, whether you sell on Amazon, eBay, and/or Walmart, or in the US, UK, Germany, Australia, or somewhere else, each marketplace may well feature different items at different prices. This may be due to cultural differences in demand and buying patterns, or simply the availability and price of the inventory that the local sellers have sourced. It’s also important to keep in mind that the marketplaces themselves have their own characteristics with many Amazon customers expecting free shipping options, whereas eBay customers are more accustomed to additional shipping fees (although this might be changing). It is often a good idea for merchants to sell on multiple markets to maximize sales opportunities while minimizing risk through diversification. Our blog, International eCommerce: Why you should be selling abroad helps to explain the advantages and ways to mitigate risk in more detail. 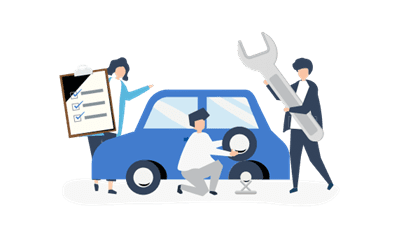 We explore the specific challenges of selling auto parts on the different marketplaces a little later in this document, but will start with some of the general challenges of selling auto parts online..
Fitment is used to specify the exact vehicles that a part fits. Auto parts are extremely specialized products that only fit vehicles of certain makes, models and years. For example, a particular headlamp may fit a Volkswagen Passat, but only specific years and models.This means that your listings must be as accurate and specific as possible in order to ensure that your customers are purchasing the correct items to fit the exact make, model and year of their car. Fitment is perhaps the biggest challenge when it comes to selling auto parts online to the general public because fitment issues are responsible for the majority of returns. Some platforms like eBay and Amazon have built-in fitment systems for the customers to use, but be aware, they don’t cover all car makes and models. Nor do they cover all circumstance. Take two cars that have the same make, model and year, but one was equipped with air conditioning and the other not. The specific radiator that these vehicles need may well be different. Therefore, it is critical that you include as much information regarding the appropriate makes, models, and years in the product listing as well. To make things more complicated, many product listings have character limits, so it is also recommended to prioritize the most popular models to maximize your sales opportunities. Selling super specialized products means there’s a greater risk of customers purchasing items they cant use, requiring refunds, effecting your profitability, and leading to unhappy experiences and possibly negative reviews. 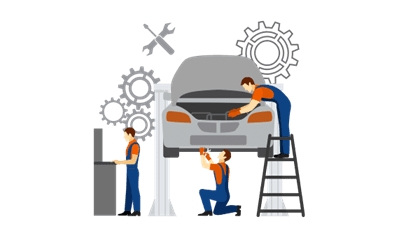 Since you will be dealing mostly with average consumers as well as car enthusiasts, you need to make sure that whoever buys your part understands what they are getting and should know how to install it. Clear pictures are a must. Pictures from multiple angles are also recommended. Some marketplaces provide detailed requirements for your images. It’s also critical that you provide clear instructions for how to use and/or install the car part or accessory. Today’s consumers expect clear video instructions. You cannot rely solely on the basic instructions that or may not be included with the original item. The better your instructions, the less likely customers will be to damage products during the installation process, install or use them incorrectly, require expensive online technical support assistance, or be unable to use the products and demand their return. Issues with quality and liability have made a lot of people afraid to sell auto parts. If parts are of poor quality or are installed incorrectly, they can lead to significant damage to vehicles and in certain cases, damage to property, injuries and even loss of life. For example, the installation of incorrect brake pads or the incorrect installation of the right parts can result in a car not stopping when needed, and that can have severe and unpleasant ramifications. Fortunately, there are a few things that sellers can do to minimize exposure to potential liability issues. The easiest way is to avoid selling parts that are related to a car’s driving or stopping mechanisms. Yet, by ruling out such parts you can also be limiting your potential profits. Other ways to limit your liability are to always check the quality of the products you are sourcing. Request samples before making a large order. Make sure the supplier adheres to all local and government standards. Ask for documents that verify this. Also make sure that you have a comprehensive listing of all the relevant makes and models the part fits and make sure this is conveyed to the customer before and after purchase. Retailers can also purchase liability insurance. To be sure that you are fully covered, it is best to consult your own legal and insurance advisors. Many auto parts are sold by brands and consumers often look for specific brands that they trust for replacement parts. However in more generic lower cost items, such as floor mats, cleaning products and tools, or steering wheel covers, consumers are less attached to brands, giving the sellerst the ability to create their own private label products. High-quality private label products that are well-marketed and well-branded can demand top profit margins. But keep in mind that good marketing and branding can be very expensive exercises that don’t always succeed as intended in the competitive global marketplace. Private labeling also sets sellers apart from the competition. 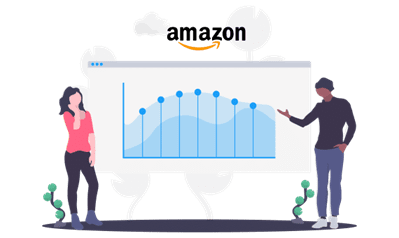 You won’t have direct competitors for your specific products on Amazon, eBay, Walmart, or the platform of your choice, unless you also wholesale your products. And in that case, you may be able to control competition via your own distribution and pricing agreements. Wholesaling your products brings an extra level of sales revenues and increases brand awareness, which can be the start of a positive circle of increasing revenues when managed properly. The Amazon marketplace is the largest retailer in the US. According to eMarketer, its millions of sellers account for nearly one-third (31.3%) of total eCommerce sales in 2018. With 14 international marketplaces, including the UK, Germany, Italy, France, Japan, Australia, India, and more, the company is global eCommerce leader. Today, Amazon has an estimated 22% share of the Western Europe eCommerce market. The company holds about one-third of the eCommerce market in the UK and was ranked as the fifth largest retailer in the UK in 2017. Amazon is strongly going after the auto parts market. Hedges & Co., a research firm that specializes in the automotive aftermarket, estimates the company’s 2018 revenues from automotive aftermarket parts and accessories at $5.5 billion, plus another $1.9 billion worth of OEM replacement parts. Still with nearly half (46.7%) of US internet users starting product searches on Amazon as opposed to Google (34.6%), auto parts sellers should seriously consider selling on Amazon. We will address some of the challenges of selling auto parts on the Amazon platform below. Sellers must have either an independent website that can be reviewed or be an existing Seller on the Professional selling plan with an account in good standing. All refurbished Automotive & Powersports products must be warranted by the manufacturer or remanufacturer. Sellers must disclose the warranty type for each Refurbished product they list, indicating whether it is a manufacturer’s warranty or their own warranty. Special requirements for sellers of refurbished, pre-owned, and open-box parts Amazon created its Amazon Renewed program in order to ensure the consistent delivery of high-quality refurbished, pre-owned and open-box items. Sellers of certified refurbished parts in the automotive category fall under this program as well. Amazon has strict and demanding requirements for this program and it is hard for new sellers to enter without a previous and extensive history of selling such products. For example, in order to receive approval from Amazon, automotive parts sellers must supply invoices showing a minimum total of $50,000 in qualifying refurbished purchases in the previous 180 days. Sellers considering the Amazon Renewed program should review the requirements in detail here. While it sounds complex, many sellers report getting quick approvals from Amazon. Whether you are an experienced or first-time seller you should build in time to your timeline for authorization. It might take some time and patience, and perhaps some back and forths, but it should be possible if you abide by their rules. Amazon has built its platform with the philosophy of always putting the consumer first and the numbers show that this approach has paid off. Multiple surveys identify Amazon as the most trusted retail brand. The company is intent on providing an excellent buying experience, every step of the way. The simple, repeatable buying experience, access to reviews, reliable and free (with Amazon Prime) shipping, and excellent customer service lead consumers to enjoy buying on the platform; and buy they do! Because Amazon wants its shoppers to have the best experiences, those high standards of excellence filter down to its sellers. In order to meet Amazon’s high expectations, sellers must provide accurate listings, excellent logistics and exceptional customer support. To keep everyone on their toes, Amazon has a “report incorrect product information” button on auto parts listings. Another aspect which might seem straightforward but that can be a challenge for auto parts sellers is matching the quantities available in their listing with their actual on-hand inventory numbers (whether at Amazon’s warehouses or their own). This is especially tricky if you are selling on more than one marketplace and perhaps at a retail location as well. It is almost impossible to manage correctly if you are doing it manually rather than using an automated system. If your inventory and Amazon listings don’t match, two things could happen. You risk selling an item you don’t have and creating a poor customer experience or you will miss out on selling a product you actually have. Amazon’s strict policies mean that you need to play by their rules. 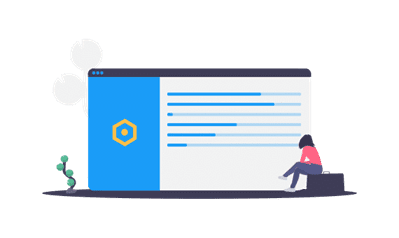 For example, while it might be tempting to buy user reviews or to implement other hacks to get the Buy Box, if you underperform in an area, violate their policies, or do something that Amazon finds questionable, the company is known to impose severe penalties, whether justified or not. If Amazon suspends you or kicks you off, it can be costly and time-consuming to get reinstated. So it’s best to maintain high levels of customer service and uphold their rules to the best of your ability. While Amazon does have a finder for parts already in the Amazon catalog, it doesn’t cover everything. If you are selling parts not in the catalog or parts under your own brand, you have to use a 3rd party software that will generate an ACES (Aftermarket catalog exchange standard) file yourself and add it to your listing. In addition, Amazon places restrictions on the number of lines of fitment your products can support. So even if your product can support 10,000 different vehicles, you will have to prioritize the makes and models written in your listing. Another challenge of selling on the Amazon marketplace is that you can also face Amazon as a competitor. Clearly, Amazon has a leg up on other competitors due to its size, buying power, and access to search data and sales patterns, and its knowledge of its own algorithms. In addition, within the past year or two, Amazon has made agreements with some of the largest parts makers in the US, including Cardone Industries, Federal-Mogul, Robert Bosch, and Dorman Products. Amazon seems to be trying to find a balance between being a powerhouse (aka almost a monopoly) and a leveler for small and large sellers. While Amazon seems to be trying to stake a claim to many huge markets like clothing and auto parts, in a recent press release at the end of 2018, the company states that, “more than 50 percent of items sold in our stores this holiday season came from small and medium-sized businesses.” So all is not bleak. The market is huge. While you may be well advised not to sell the same products that Amazon sells, it is possible to succeed as small retailer selling auto parts and car supplies on Amazon. A good part of your success will boil down to knowing which products you should sell, at what prices, and the markets that offer you the greatest sales opportunities and profits that your business needs to grow and succeed. The key to becoming a successful auto parts seller on Amazon is doing product research before investing in inventory. The Algopix platform helps thousands of sellers to decide the most viable products to sell, at what price, and on which markets. Not only will investing in the right inventory lead to increased sales and profits, but it will also free up your capital, allowing you to buy more and sell more, repeating this positive cycle. Algopix’s product research platform analyzes 8 different Amazon marketplaces. All you have to do is plug in the product you wish to analyze and your purchase price. Algopix automatically analyzes many different data points, providing you with an indication of whether or not a product is recommended for you to sell on a chosen marketplace along with an brief explanation. In addition to the quick go/no-go recommendations, it provides the most critical information to help make confident information-based business decisions. This data includes current market prices, demand levels, cost breakdowns and profit calculations for the marketplaces you are considering selling. Not only that, but it also lets you see the product’s recent monthly sales volumes, both in units and in dollars, along with the competition level. The platform also provides you with detailed product descriptions, dimensions, images, recommended keywords, and search trends to help you optimize your listings. In addition to its comprehensive single search that provides answers in seconds, Algopix also provides a bulk product analysis feature that lets you upload a vendor price list or inventory list, enabling you to analyze hundreds of products at once. Results are delivered to your email in minutes. This is a life saver for those who receive price lists from suppliers and want to figure out which, if any, of the products listed could be profitable to sell and in which markets. Many sellers also use this feature to analyze their existing inventory and gain insights into other marketplaces where there may be enough demand and profit potential to sell their stock. 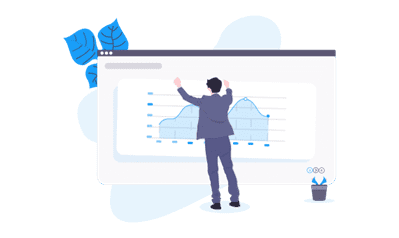 By doing your product research before you invest in inventory, you can increase your sales and profits while greatly reducing your risk of being stuck with dead inventory and unable to allocate resources for profitable product opportunities. Sellers that do product research manually know that collecting and analyzing all the information they need is a terribly tedious and time-consuming process. 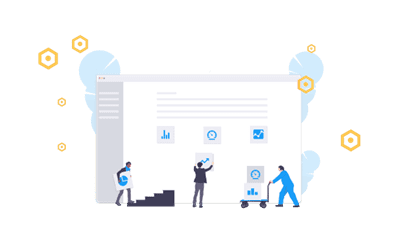 That is why an automated product research platform, like Algopix, which provides all the insights and data needed to make smart sourcing and selling decisions in seconds is a very cost-effective and worthwhile resource. Think about it; the cost of one day of product research done by someone at minimum wage is the price that you will pay for nearly a year of Algopix’s service. If you are just getting started selling on Amazon, we highly recommend that you check out our free eBook, How to Start Selling on Amazon. It will walk you through the steps you need to take to start growing your own successful Amazon business. eBay is the second largest US eCommerce marketplace, claiming about 6.6% of the US eCommerce market. Though significantly smaller than Amazon, with 1.1 billion active listings and $2.1 billion in Q3 2018 revenues alone, the eBay Marketplace is a force to be reckoned with. eBay is also a global marketplace. In 2017, roughly 57% of the company’s sales were from countries outside the US. eBay operates 25 local domains in North and South America, Europe, Asia, Australia, and New Zealand. Some of the specific challenges auto parts sellers face when selling on eBay will be discussed next. As a result of its auction-model roots, and despite the fact that the vast majority of items sold on the platform are new, consumers still expect bargain prices on eBay. In order for sellers to check on the viability of products and maximize their revenues, it is critically important for them to do their eBay product research before investing in inventory. Sellers must be aware of market selling prices for similar products and all costs involved, before investing their hard-earned capital in inventory. It also means that buying overstock or liquidation merchandise could be a good strategy to gain the types of profit margins that your business needs to succeed. While fitment was discussed earlier, it is a huge issues that affects returns of auto parts. Some sellers claim that up to half of parts are returned due to fitment issues, but that is hearsay and not based on verifiable statistics. To try and counter this issue some sellers have implemented a no return policy. Unfortunately they still can get held accountable for returns under eBay’s Buyer Protection policy in which eBay guarantee that buyers will get the item they ordered or will get your money back. While not a warranty, the eBay Money Back Guarantee protects buyers in cases where an item is not received or is not as described in the listing. Therefore it is extremely important that eBay sellers specify as much fitment details in their listings as possible, as well as clear pictures and instructions to minimize the opportunity for buyers to be able to return parts as significantly not as described.  It is recommended that sellers build in buffers into their required profit margins to take into account the costs of returns, including potentially having to write off the part. 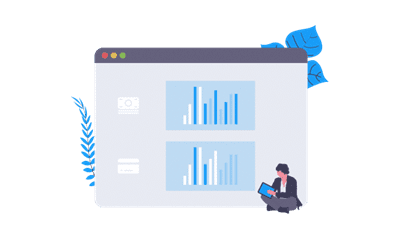 Using a product research tool like Algopix with a profitability calculation can help you understand your potential profit and negotiate even better deals with your suppliers to get you to your needed profit margin. The key to becoming a successful auto parts seller on eBay is doing product research to decide the most viable products to sell, at what price and on which local markets. Investing in the right inventory will not only lead to revenues and profits, but will also free up your capital for you to buy and sell more, creating a continuous positive loop. Algopix’s product research platform analyzes 7 different eBay marketplaces, including eBay US, eBay Germany, eBay UK, eBay Spain, eBay France, and eBay Australia to help you identify whether a product is recommended or not for you to sell your marketplace of interest. In addition to providing a top-level recommendation whether or not you should sell a particular product on your marketplace of choice – along with an explanation of why or why not, Algopix aggregates the key data you need to make your own evaluations and smart business decisions. Some of this key data includes current market prices, demand levels, cost breakdowns and profit calculations for the products you are considering selling. Not only that, but it also lets you see the competition level along with the product’s recent monthly sales, both in terms of units and dollar volume. Sellers get all the information they need to make smart, information-based sourcing and selling decisions. Algopix also provides detailed product descriptions, dimensions, images, recommended keywords, and search trends to help you optimize your listings. If you don’t do your product research there is a big chance you could be stuck with dead inventory and be unable to allocate resources for profitable product opportunities. Algopix’s product market research platform enables you to quickly research products, individually or in bulk. Both options are a vast improvement over manual product research which is a tedious and time-consuming task. Instead of taking hours or days, with the Algopix platform, you can get all your product research done in seconds or minutes. Algopix’s bulk product analysis feature lets you upload a vendor price list and analyze hundreds of products at once. Results are delivered to your email in minutes. Many sellers also use this feature to analyze their existing inventory to gain insights into other local eBay markets where there is sufficient demand and sales opportunities to meet their profit threshold. Think of the savings just in terms of your time alone. Now calculate that at your hourly rate and you can see that using Algopix’s automated platform for an entire year can pay off with return on investment in just one day. 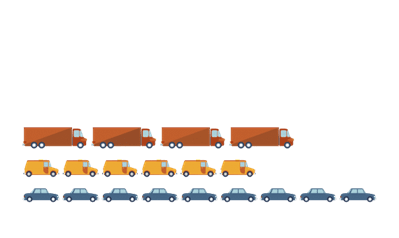 The huge automotive parts and accessories market and the wide array of products available make it an attractive vertical for eCommerce merchants. It makes sense for sellers to sell their wares on the top eCommerce platforms of Amazon, eBay and Walmart, that have a ready-made and captive audience of millions. However, not all items will be a sure hit. Sellers need to do their product research to identify what products are financially feasible to buy from their suppliers and what platforms to sell them on. Algopix’s comprehensive product research platform can help sellers make smart confident decisions about what to buy and where to sell.